We have come to the end of another week and I can't believe that next week is the last week of the school year! We have been busy creating pictures for the Battle of Waterloo art exhibition that will be on display in Wellington. The art work was lovely and well worth a look! See the posters around school for more details. 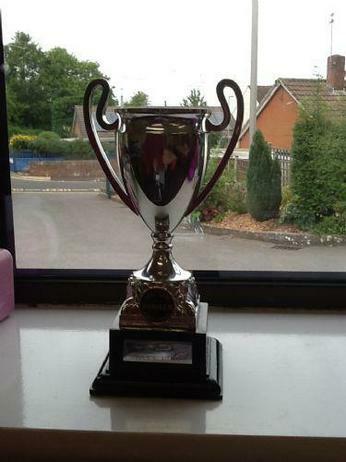 As you can see from the picture above, we were winners of the attendance trophy this week - well done everyone! Next week, although it's our final week, we still have lots planned. We are going to Norton Manor Camp on Wednesday for an orienteering festival. This is something we are really looking forward to. I hope that the weather is kind to us! We are also planning an animation day, where the children will be making their own short films. There is no PE next week, although after school clubs are continuing. Spellings - We are learning plurals. 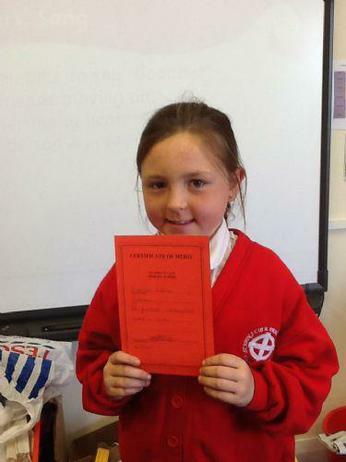 Well done to Elle for receiving a merit certificate in our celebration assembly this week. Keep up the good work. 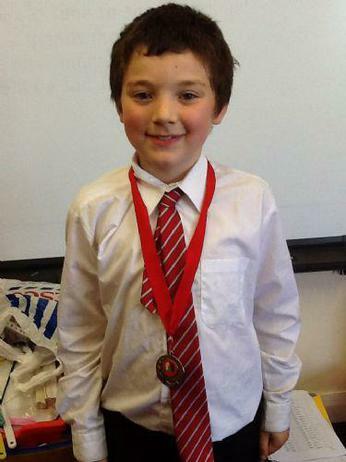 Also, well done to Jeremiah for coming second in the school chess competition.